AO Aerofuels is the company, founded in June 2001, which is successfully operating as an alternative refueling company in two largest Russian airports – Domodedovo (Moscow) and Pulkovo (St.-Petersburg), and providing a full cycle of operations in aviation fuels loading, storage, quality control and supply, as well as aircrafts refueling. 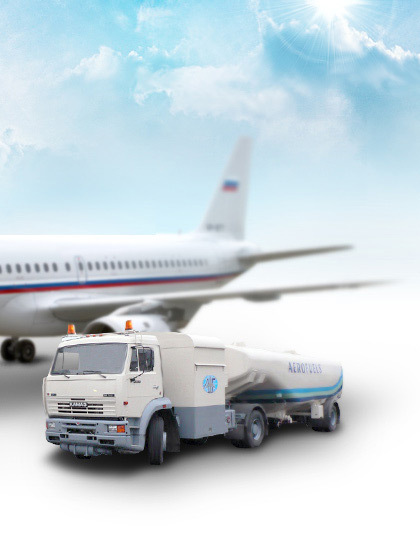 Aerofuels regularly passes IATA and the Federal Air Transport Agency inspections for compliance with the requirements of the Russian and international standards, and following their results it consistently confirms a high quality of the services rendered. In accordance with IATA standards, Aerofuels provides an insurance for 1 billion US dollars per one event insured dealing with aircrafts refueling, which enables foreign airlines to land for refueling without any limitations. Dozens of leading air carriers from Europe, Asia and America are the company’s standing customers. Alternative TZK operation in the airports of Domodedovo and Pulkovo supports healthy competitive environment in the local jet fuel market, and consequently, ensures a most favorable price conditions for consumers.